Thank you to all parents, pupils, staff and governors who have contributed to the review of our Mission Statement! 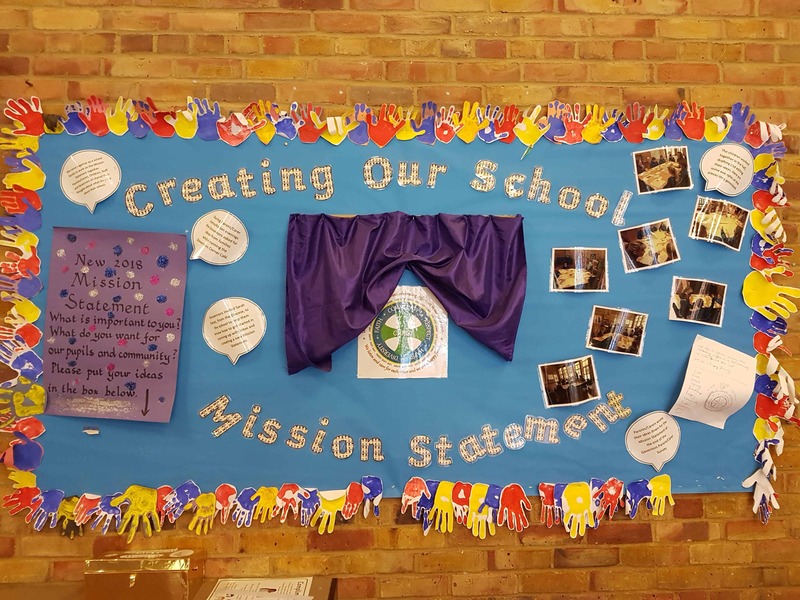 Our Mission Statement is centred on “Live, Love, Learn”, and its review has been contributed to by governors, staff, parents and (most importantly) children. 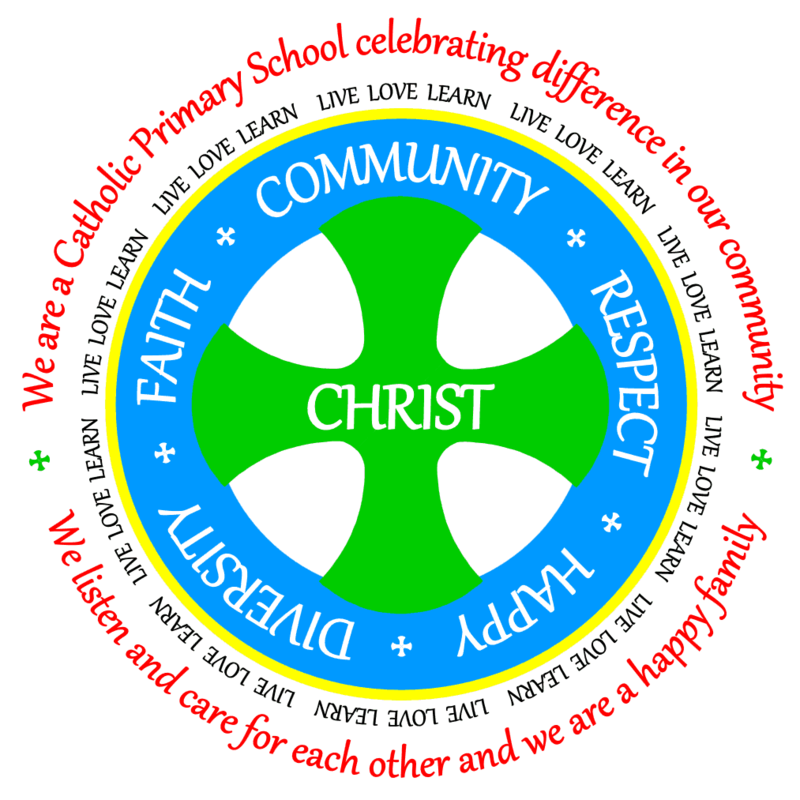 From it we draw our long term plan for the school in which we proclaim our Christian mission to ‘love one another as God has loved us’ (John 13 verse 34). Animated by this call, we help children to aspire to be the best they can be, by fostering a love of learning, curiosity about the world, and commitment to making a positive contribution in the wider world. The colours chosen are very symbolic, as they represent the Olympic rings and the families from around the world that make our school community so very special – black, white, red, blue and green. Christ is at the very centre of all we do. Green represents our diverse world that we celebrate. Blue for the sea and sky — the colour representing Mary, our Mother and Mother of Christ. Mary also as Queen of Heaven and Star of the Sea. Yellow, the sun and the light of Christ showing us the way to live. The sentences encompassing the mission are composed of a common theme constantly referred to by all sections of our school community. Nearly everyone wanted to keep Live, Love, Learn as it is deeply held by most people as summing up our school in a very identifiable phrase!